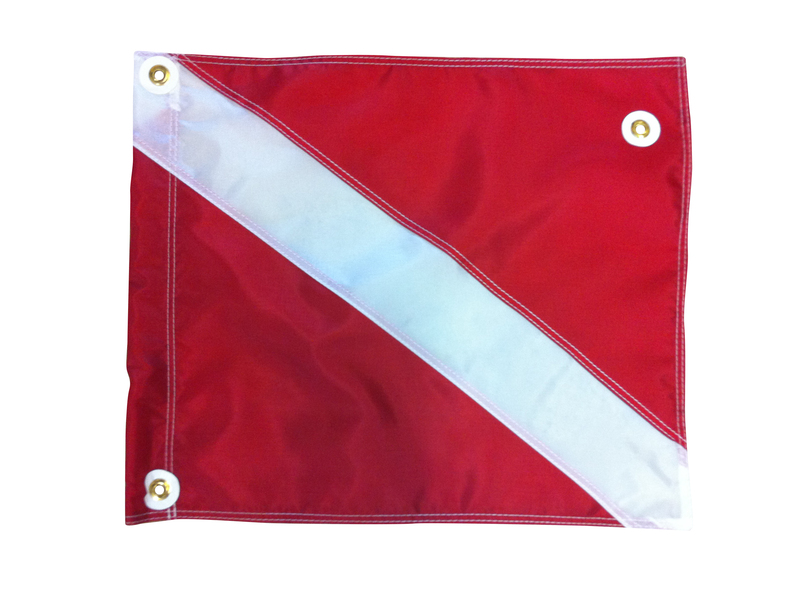 2370 Diver Down Flag. Larger than regulation size, 14” x 16”, Nylon construction. Used for dive flag floats to signify divers in the water. Constructed with 3 grommets. Includes the stainless spring steel stiffener required by law to keep the flag unfurled and visible. The color is red and white. Check your local dive flag regulations. Made in The USA.